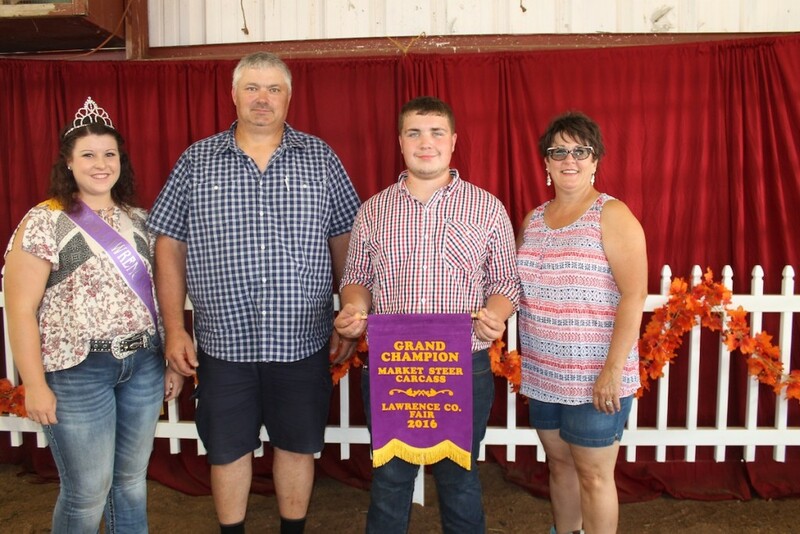 The Crane Room Grille, represented by Valerie and Gale Measel and Sebastian Chomczyk, paid $3 a pound for Elon Horchler’s 1,323-pound grand champion steer. Headliner Show Pigs, represented by Blaine and Lori Martin, paid $10 a pound for Connor McCrumb’s 138-pound grand champion lamb. 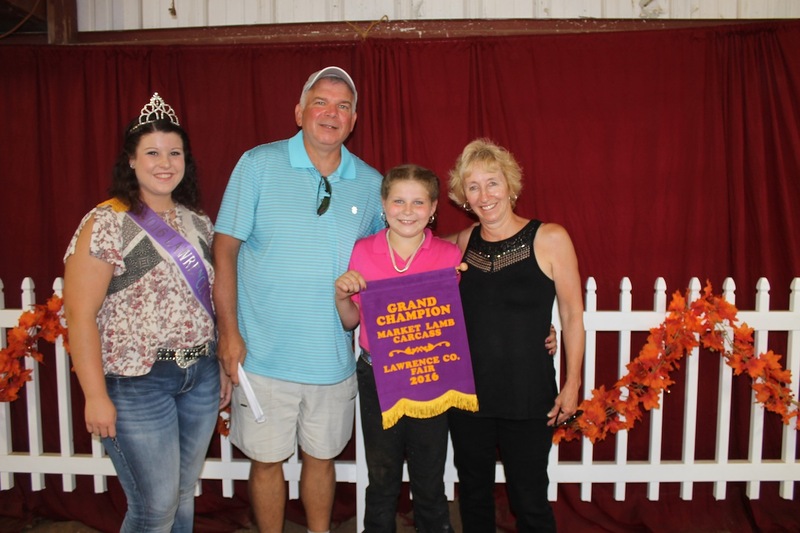 Buyer: The New NW Sales Co.
Tori Davis sold her 38-pound grand champion goat carcass to Beatty’s Country Market, represented by Doug and Kayla Beatty. 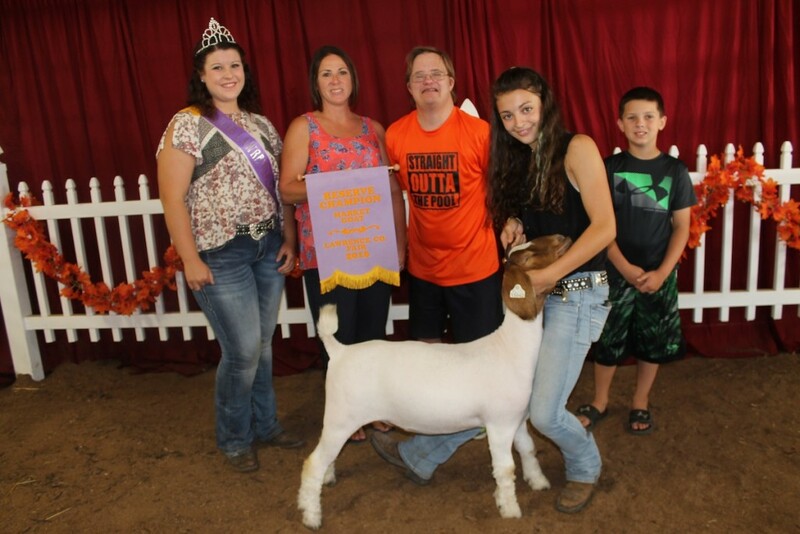 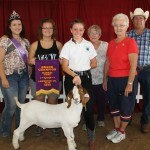 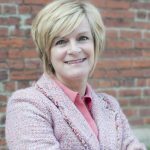 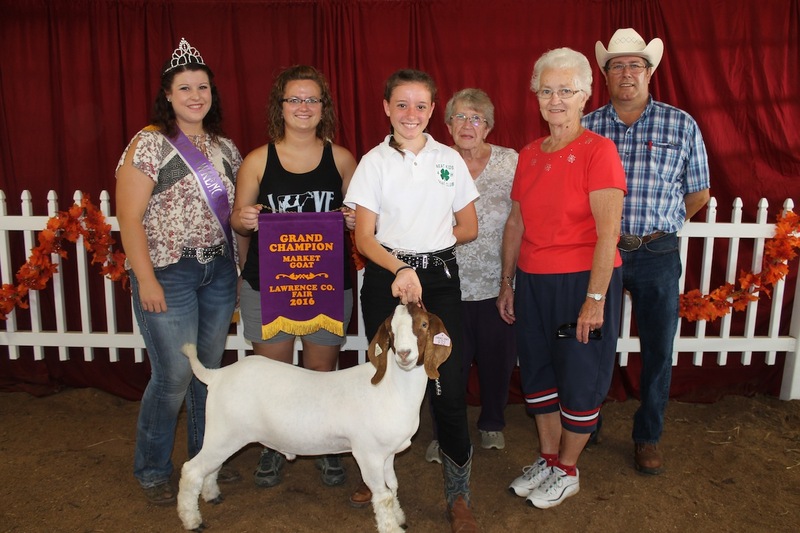 The New NW Sales Company, represented by Brandie Hillmar-McNight, Tish Shick, Carol Martin and Don Braham, paid $8.25 a pound for Ellie Wanner’s 88-pound grand champion market goat. 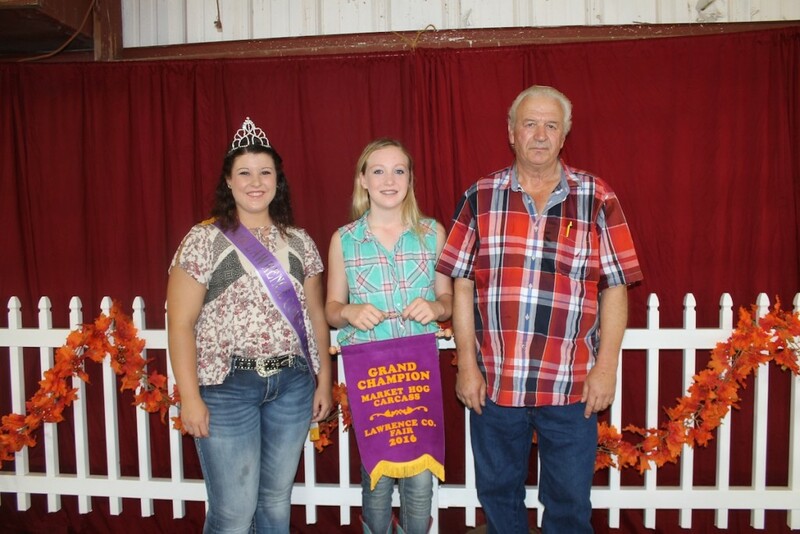 Also pictured is fair queen Gabriella Kosek. 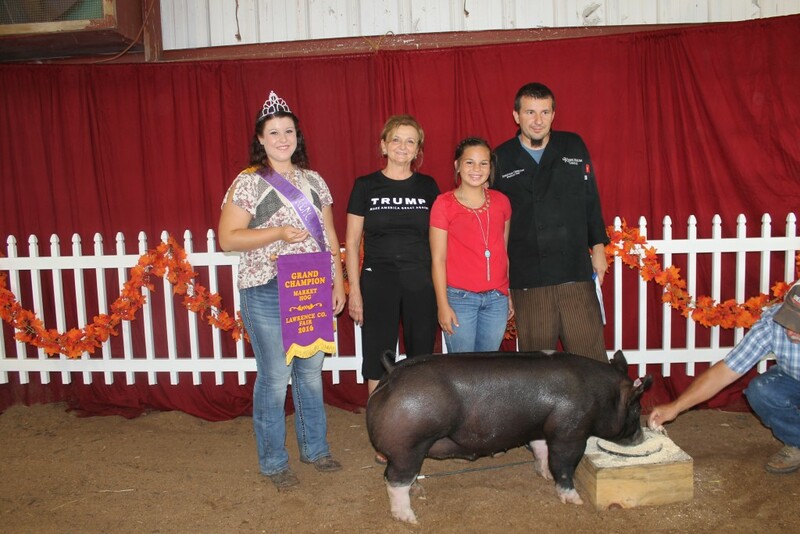 Jack Clark, of Clark Enterprises, paid $5 a pound for Grace Whiting’s 177-pound grand champion hog carcass. 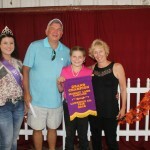 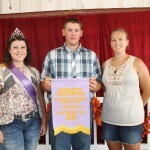 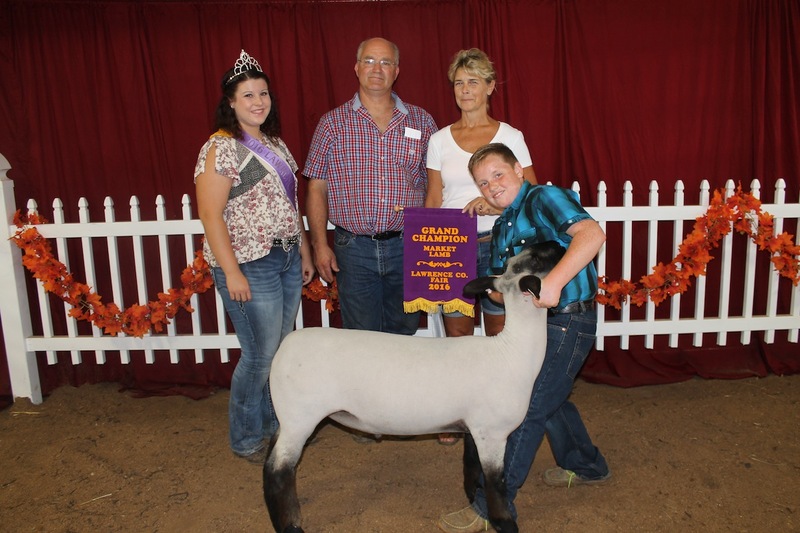 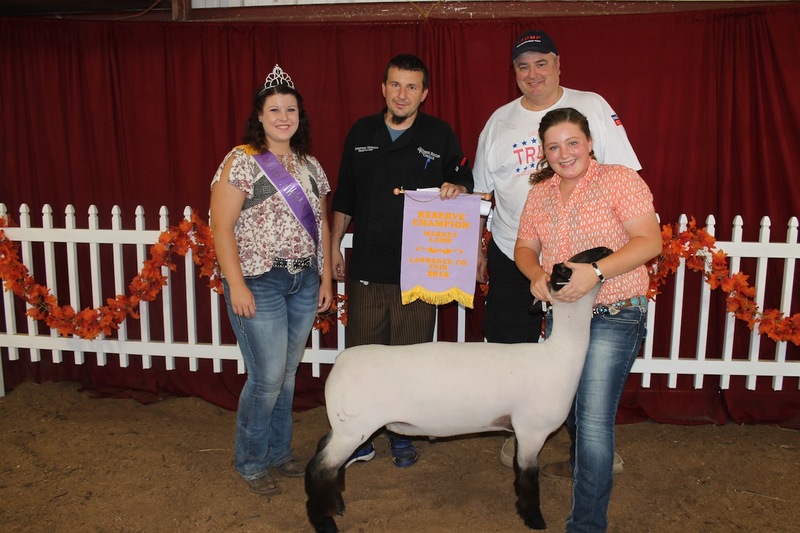 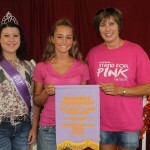 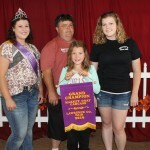 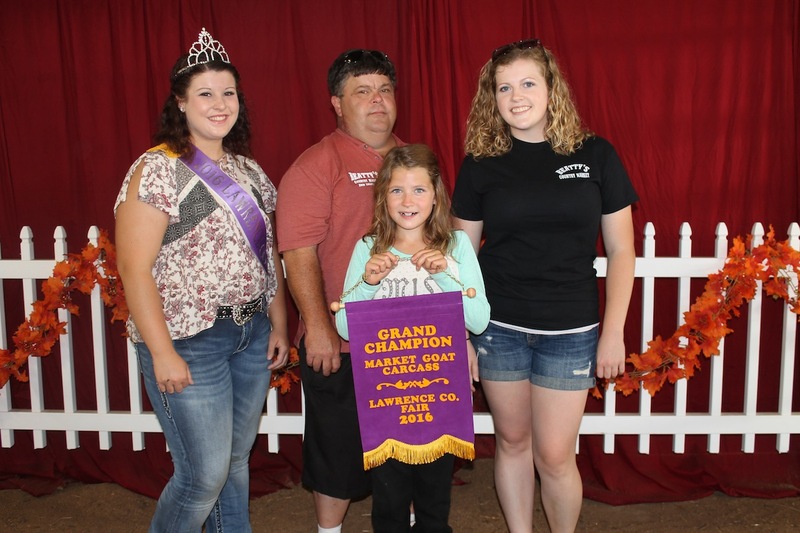 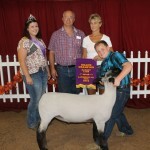 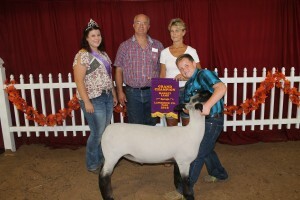 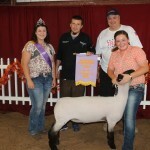 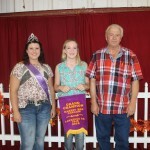 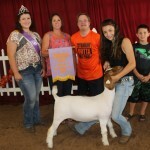 Mark and Sherri Miller paid $11.50 a pound for Bayleigh Miller’s grand champion market lamb carcass weighing 79 pounds. 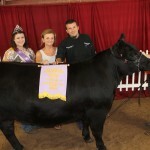 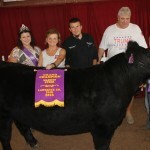 Dylan Clark’s 874-pound grand champion steer carcass sold for $3.85 a pound to Jamie and Tawnya Curatola of CC Farms. 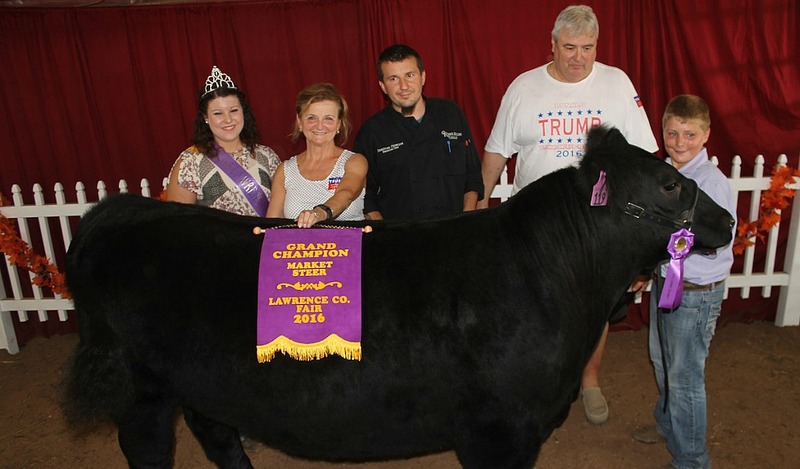 The Crane Room Grille, represented by Valerie and Gale Measel and Sebastian Chomczyk, paid $3 a pound for Elon Horchler’s 1,323-pound grand champion steer. Also pictured is fair queen Gabriella Kosek. 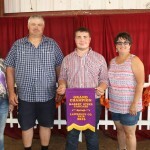 Silver Spring Equine, represented by Gayle Kissick, Ethan Conte and R.J. Kissick, paid $11 a pound for Paige Clyde’s 87-pound reserve champion market goat. Emily Young’s 207-pound reserve champion hog carcass sold for $3 a pound to the Rossi family, represented by Ashley (left) and Cindy Rossi. 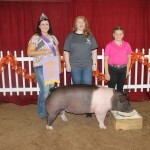 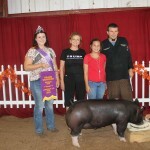 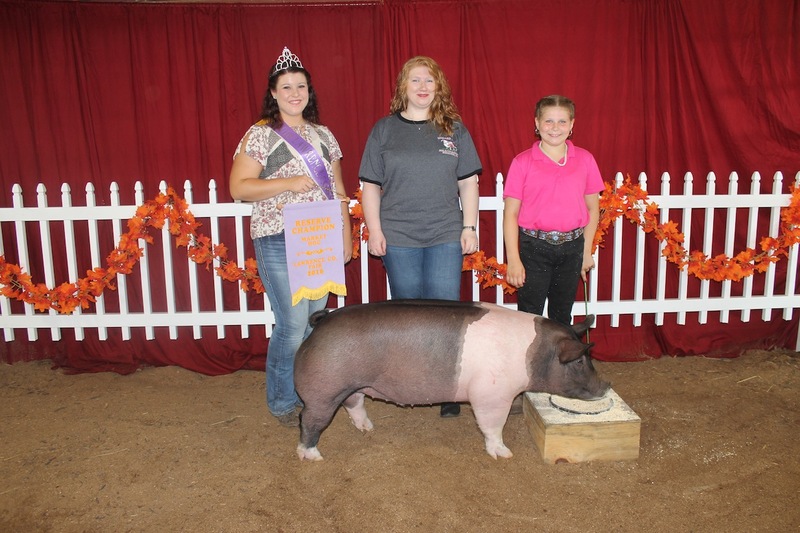 Bayleigh Miller’s 268-pound reserve champion hog sold for $5.50 a pound to Howard & Son Meat Packing, DJ’s Smokehouse and the Howard Law Firm, represented by Nicole Howard. 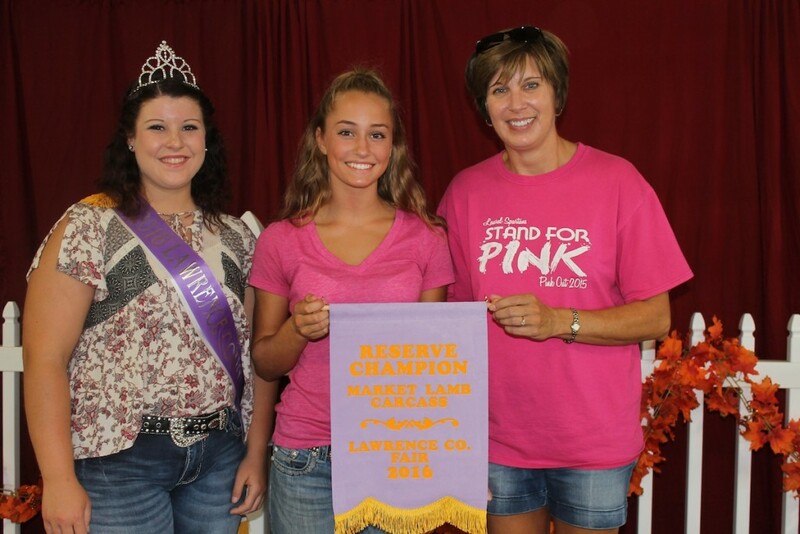 Faith Gibson sold her 72-pound reserve champion lamb carcass to Plastic Welding Services, represented by Jen Conrad, for $7.25 a pound. The Crane Room Grille, represented by Gale Measel and Executive Chef Sebastian Chomczyk, paid $10.50 a pound for Mattie Horchler’s 138-pound reserve champion lamb. 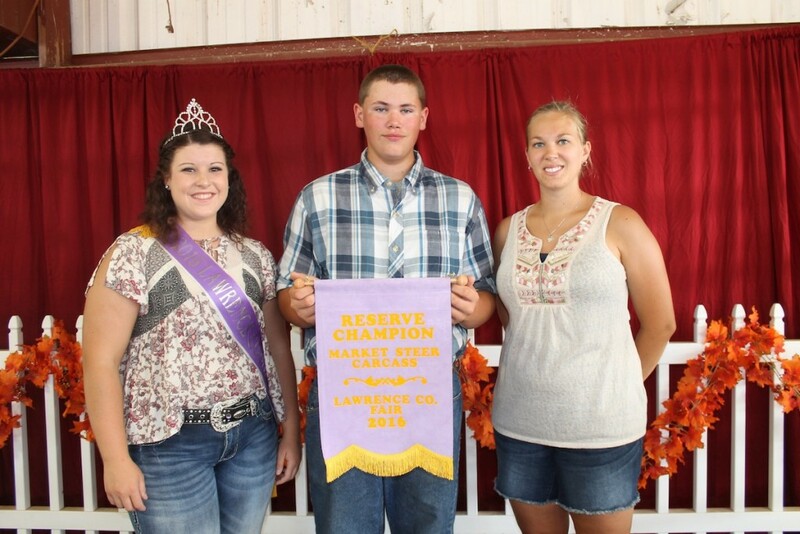 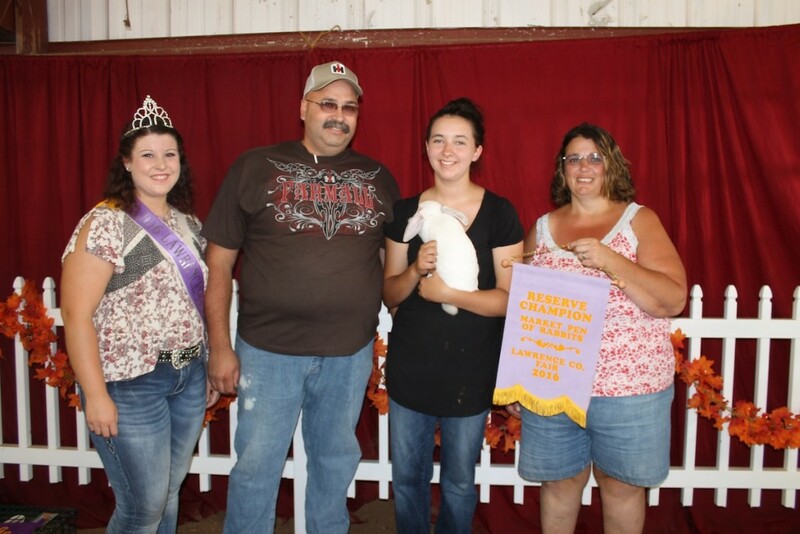 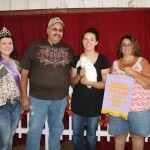 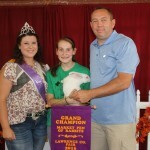 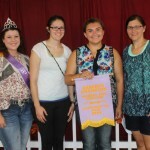 Emma Hall’s reserve champion pen of rabbits, weighing 15.5 pounds, sold for $17 a pound to Kevin J. Hall Farms, represented by Dennis and Joann Hall. 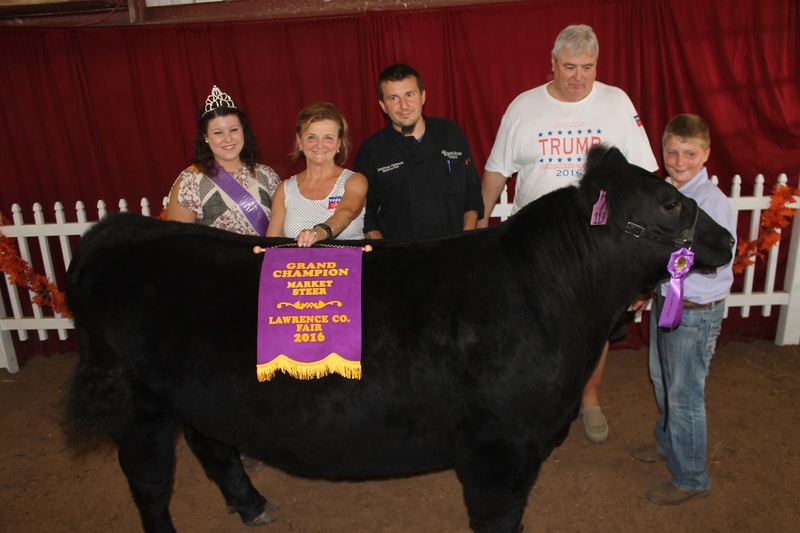 Josh Stoner’s 785-pound reserve champion steer carcass sold for $3.50 a pound to American Crop Insurance and Tomeo Engineering, represented by Katie Book. 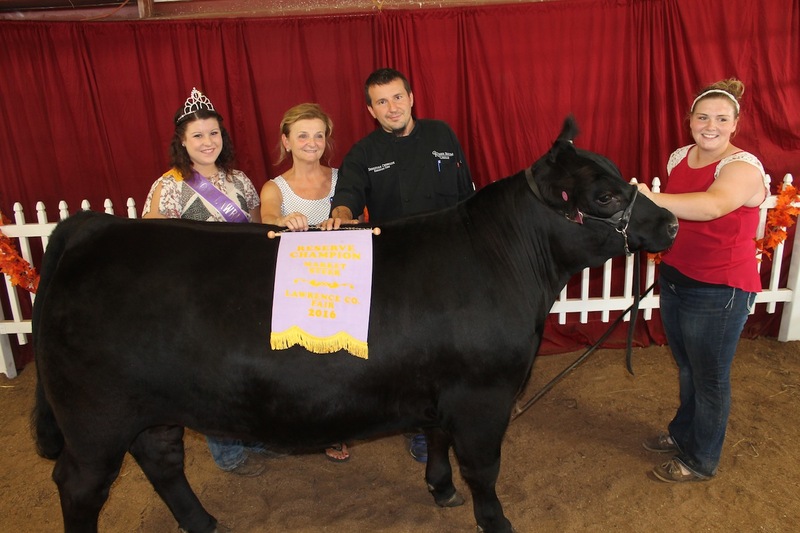 Shelby Dean’s 1,321-pound reserve champion steer sold for $3.10 a pound to the Crane Room Grille, represented by Valerie Measel and Chef Sebastian Chomczyk. 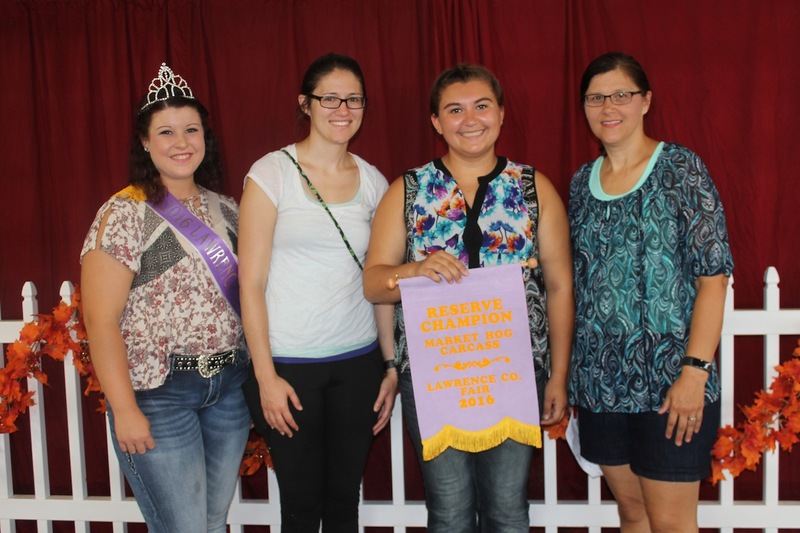 Also pictured is fair queen Gabriella Kosek. 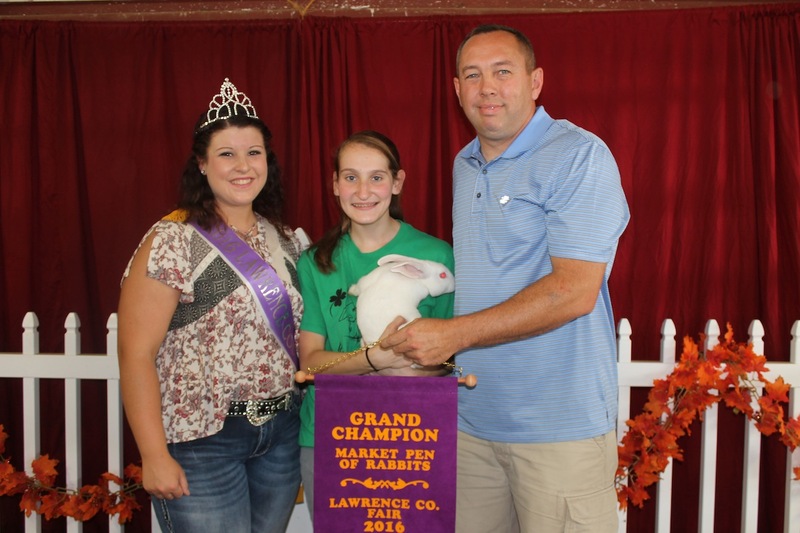 Mitch Mahle, of Mahle Chiropractic, paid $16 a pound for Brooke Lechner’s grand champion pen of meat rabbits weighing a total of 17.8 pounds.